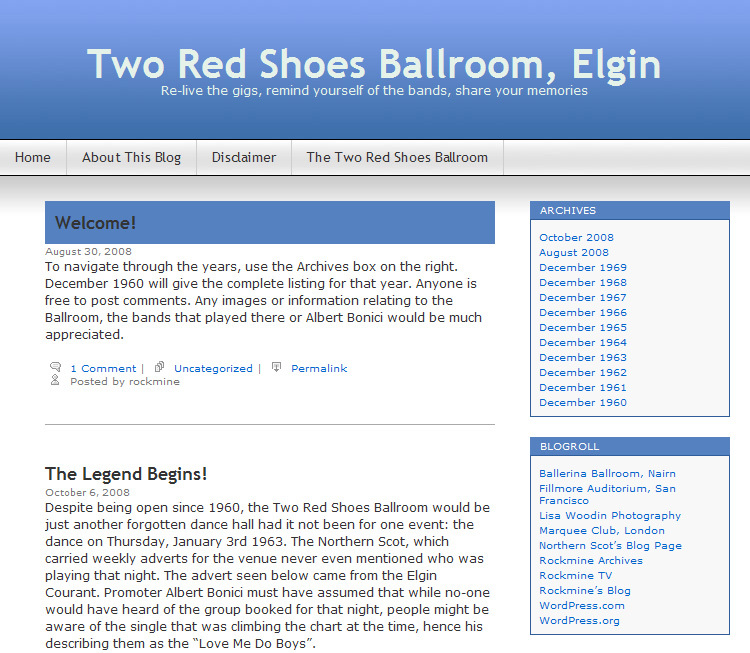 'Two Red Shoes' link with the Beatles. 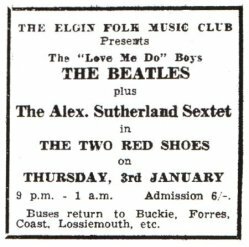 The Beatles began their first tour of 1963 with a performance at the Two Red Shoes Ballroom, Elgin, Scotland, on 3 January. 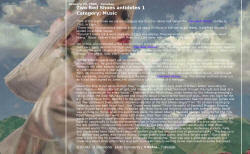 The Two Red Shoes opened as a jazz venue on 28 July 1960. 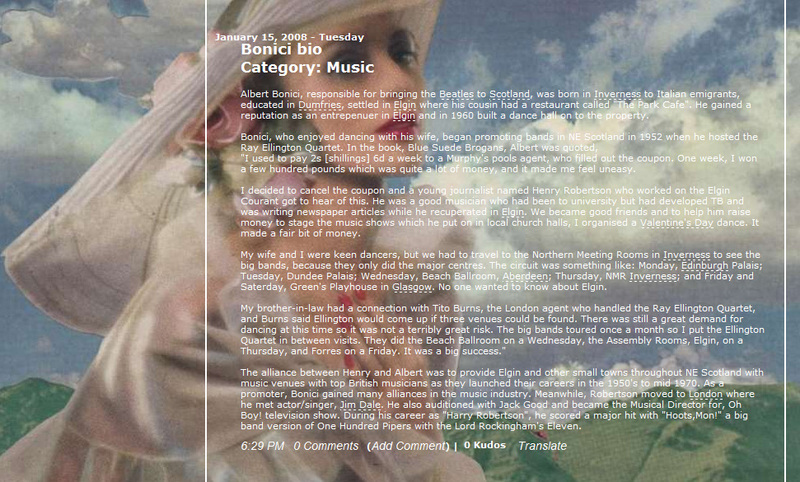 The Beatles' Scottish tour had been booked in November 1962 by Jack Fallon at the Cana Variety Agency. The Beatles earned £42 a night. 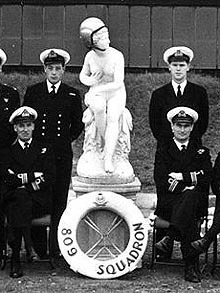 As you may have heard on the news, Captain Eric 'Winkle' Brown who was the Commanding Officer of HMS Fulmar in the late 1960's has Crossed the Bar. He passed away on Sunday 21st February at the age of 97 after a short illness. 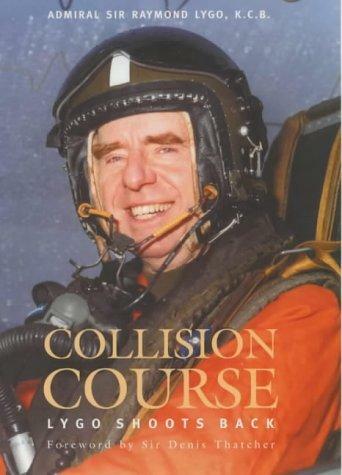 "The Fleet Air Arm may have lost one of its finest and best known pilots, but British Aviation has lost something even greater - the most accomplished test pilot of his generation and perhaps of all time and a huge advocate and supporter of military aviation and the Nation's Naval Aviation Heritage." Tributes are pouring in for the World’s Greatest Test Pilot and Fly Navy Heritage Trust Ambassador Captain Eric ‘Winkle’ Brown CBE DSC AFC who died yesterday aged 97. A passionate supporter of the Nation’s Naval Aviation Heritage, he was a great friend to the Trust and the Fleet Air Arm and will be deeply missed. Winkle’s legendary career as a Naval Test Pilot, his services to aviation and the country have hailed him a national hero. 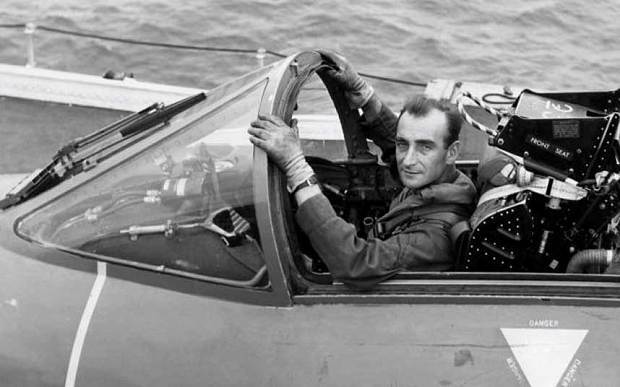 Vice-Admiral Sir Edward Rosebery Anson, KCB, who died 22 September, 2014, was a naval aviator who flew sorties over Korea and was instrumental in the introduction pf the Buccaneer Aircraft. He was descended from George Anson, Lord Anson, 1st Lord of the Admiralty in the Seven Years' War (from whom descends the Earls of Lichfield and the Anson baronets). Peter Twiss who passed away on August 31st was a Fleet Air Arm pilot who became company Test Pilot for Fairy Aviation in 1946 after leaving the Royal Navy. In March 1956 he became the first pilot to exceed 1000 mph in level flight (1132 mph in a Fairy Delta FD2). The previous record was held by American "Colonel Horace Hane", who recorded 822.26 mph in a Super Sabre in late 1955. Rear-Admiral Ian Robertson, who has died aged 89, was decorated as a young pilot and became one of the few RNVR officers to reach flag rank. In 1970, he was given command of the strike carrier Eagle and its Final Commission, the government had already taken the decision to cut the Navy’s carriers, and announced that this would be Eagle’s last. He passed the bar on Feb 22nd 2012. 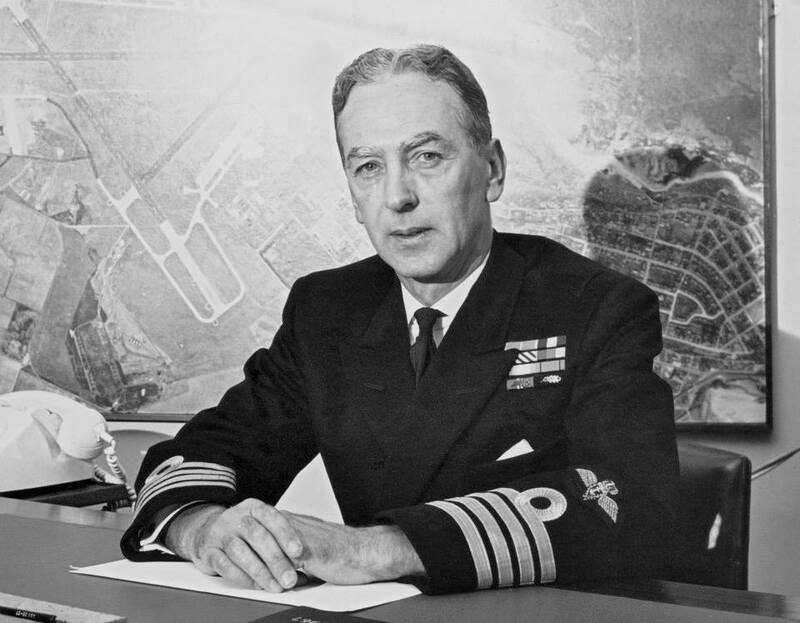 Admiral Sir Raymond Lygo, who has died 87, was a successful Fleet Air Arm pilot during the war and Acting First Sea Lord after it; in his second career he was chief executive of British Aerospace and played a small but key role in the “Westland affair” of 1986, which brought down two ministers and, very nearly, the government of Margaret Thatcher. He commanded Ark Royal from 1969 to 1971, becoming a national figure after he was exonerated by an official board of inquiry, following a collision with a Soviet destroyer. The Soviet Kotlin class ship had been aggressively shadowing Ark Royal during a Nato exercise, but cut one manoeuvre too fine. Lygo avoided cutting her in half only by going full astern, but seven Soviet sailors were thrown into the sea by the collision, and two were killed. 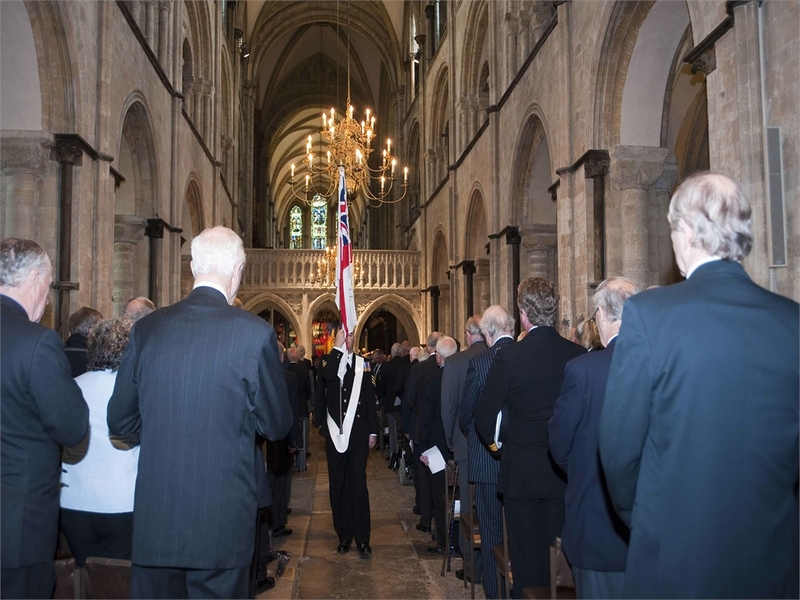 A Memorial and Thanksgiving Service for the life of Admiral Sir Raymond Lygo, KCB, was held in Chichester Cathedral on Thursday 21st June 2012. 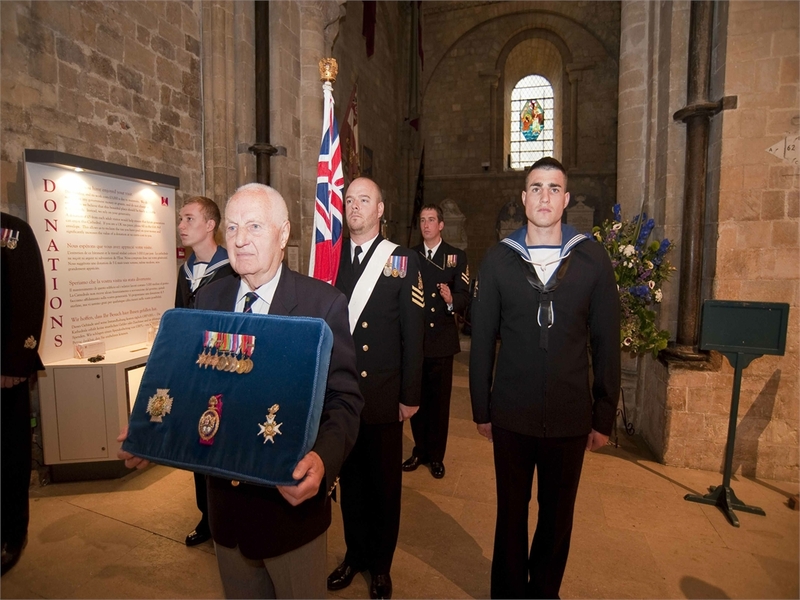 The service was conducted by the Reverend Canon Dr Anthony Cane, Chancellor, and was attended by a congregation of over 250 of his family, friends and official representatives from the Royal Navy, Naval Associations and many other organisations. 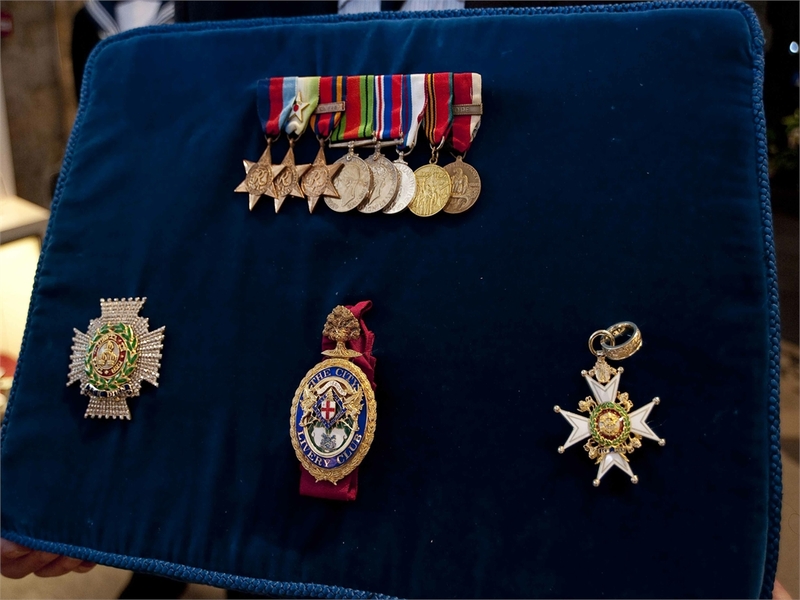 Sir Raymond’s Orders and Decorations were borne to the alter accompanied by the Royal Navy Colour escorted by a Royal Naval Colour Party of Officers and Ratings from HMS Collingwood and HMS Nelson. Buglers from the Band of the HM Royal Marines, Collingwood sounded the Alert and played Sunset. 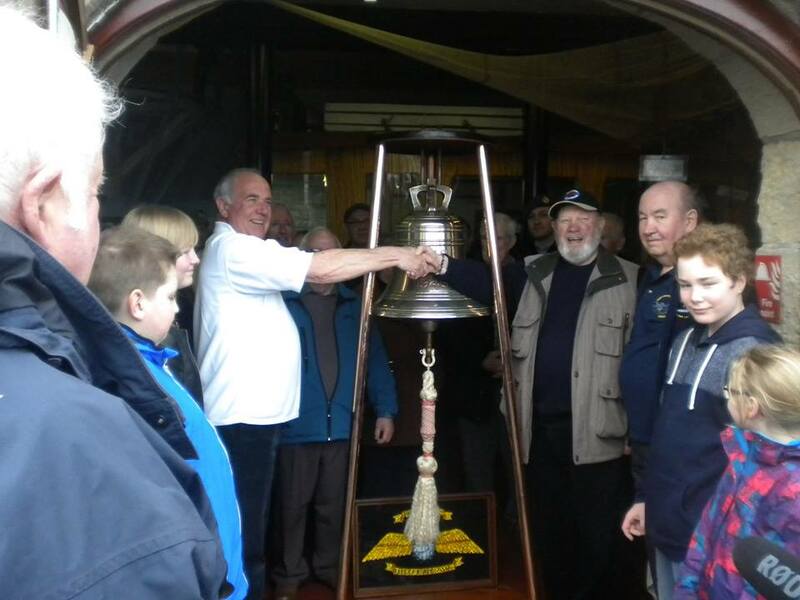 The Standards of the Fleet Air Association and HMS St. Vincent Association were also present. 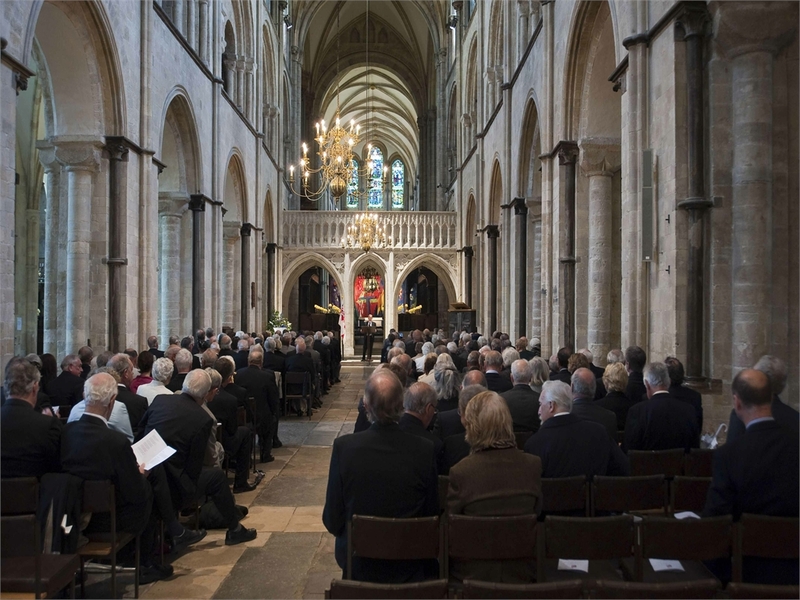 Pictures from the Memorial Service provided by Ray Whitehouse, Chairman & Secretary, Royal Navy Photographers Association. Rear-Admiral Roger Dimmock, died aged 78 on May 26th 2014; he had a narrow escape when the aircraft he was flying malfunctioned and crashed at the Farnborough Air Show in 1958. In 1969-70 he flew the Blackburn Buccaneer low-level bomber in 801 Squadron and he later became SNO at RAF Honington from 1971 to 1973. He commanded RNAS Culdrose in the eighties and went on to became Flag Officer Naval Air Command (1987-1988). Mike Crosley passed away on June 20th 2010 aged 90. He joined the Fleet Air Arm in 1940 during WW2 and survived the sinking of HMS Eagle whilst on Malta Convoy duty. He flew various aircraft types from the Sea Hurricane to the Seafire and was involved from the Mediterranean to Normandy and from Norway to the Pacific when he was CO of 880 Squadron aboard HMS Implacable. After the war Mike Crosley joined No 6 Empire Test Pilots' Course, and left the Navy to test Short's flying boats under development in Belfast. On the outbreak of the Korean War he rejoined the Navy, helping to train new pilots and flying 75 missions over Korea from the carrier Ocean. He wrote pilots' notes for a range of aircraft, which he flew to their limits, and was awarded the Queen's Commendation for Valuable Services in the Air. In 1954-55 he was commanding officer of 813 Squadron, flying the Wyvern from the new Eagle. In 1958 Crosley was promoted commander and returned to test flying at Boscombe Down, making the first deck landings of the Buccaneer low-level bomber. Brian G Young joined the Royal Navy in 1944 as a Cadet at Eaton hall, Chester, & Dartmouth. 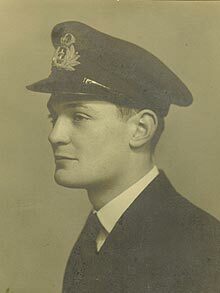 He served as a Midshipman & Sub Lieutenant aboard HMS King George V, Theseus & Wren. Promoted to Lt. in 1952 & sent to the U.S.A. for fixed wing pilot training; he then served with 803 & 804 NAS, flying Seahawks From HM Ships Albion, Centaur, Bulwark, & Ark Royal. (1954-58) He took part in ground attack missions in Egypt, during Suez. (804 Sqn NAS HMS Bulwark). From 1958 to 1960 he took up an exchange posting with the RAF as a Hawker Hunter Instructor, (well someone had to show them (RAF) how to do it right). His next posting was to 804 NAS (Scimitars) as Senior Pilot aboard HMS Hermes. Promoted to Lt Commander in 1960 he attended the RN staff Collage. 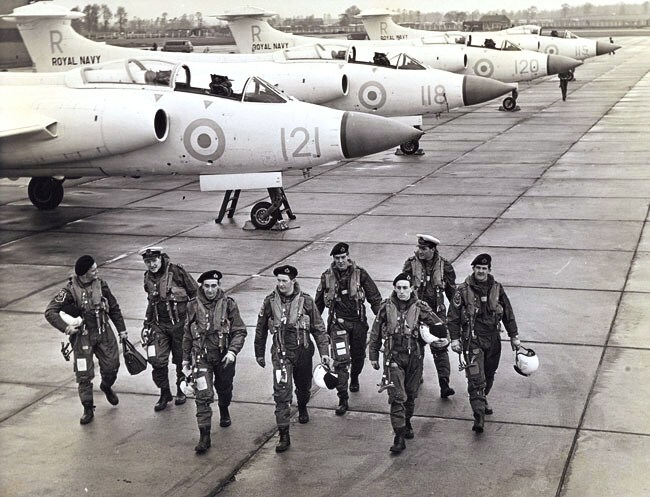 After Staff appointment, he commanded 892 NAS (Sea Vixens) on HMS Centaur, which was involved in the Indonesian Confrontation between 1964 and 1965. In 1965-66 he commanded 766 NAS (Sea Vixens) the Naval Air Fighter School ('TOP GUN') at RNAS Yeovilton & was also promoted Commander. Following that he was appointed to command HMS Wiston as the Senior Officer 9th Mine Counter Measures Squadron based in Bahrain, Arabian Gulf. In 1968 he attended the Joint Services Staff College & was appointed Commander (air) RNAS Lossiemouth from 1968 to 1970 and from 1970 to 1972 saw him as Commander (Air) HMS Eagle. From 1972 to 1974 was appointed Staff Aviation officer to Flag Officer Carriers & Amphibious Ships. He then Commanded HMS Danae from 1974 to 1975 & attended Senior officers' war course at RNC Greenwich in1976. His next appointment was as Assistant Chief of Staff (Warfare) to CINCFLEET in 1976, & Chief of Staff to FONAC ( as Commodore) in 1978. His final appointment was to HMS ANTRIM, in 1981. As Captain of HMS Antrim he was also appointed the Task Group Commander for Operation Parquet allocated to the recapture of South Georgia. He was executed with such knowledge & experience, there is no doubt many people owe him much more than just knowing him. He left the Royal Navy 2 years later. Admitted to the Distinguished Service Order. 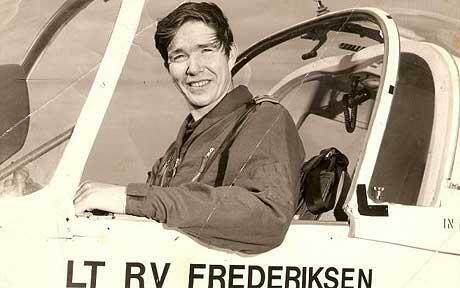 Ex Sea Vixen (766/893), Phantom (892) and Harrier (800) pilot, Lieutenant Commander 'Fred' Frederiksen, who has died aged 62, was a Fleet Air Arm pilot who shot down an Argentine Dagger during the Falklands War. All told 15 Harriers sortied and returned that morning, giving rise to BBC reporter Brian Hanrahan's oft-quoted words: "I counted them all out, and I counted them all back." 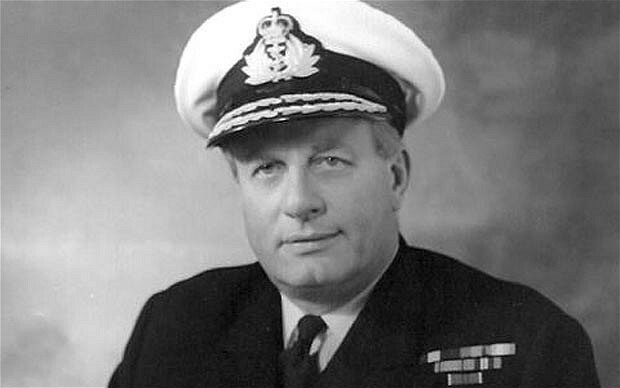 Former Commanding Officer of Midget Submarine X.7 during the attack on the German Battleship Tirpitz in Kaafiord during 1943 for which he was awarded the Victoria Cross. He later transferred to the FAA and became a pilot with 801 Squadron flying Sea Fury's from HMS Glory during the Korean war in 1952. Although rather overdue, this is just a quick note on behalf of Admiral Chris and the whole Fly Navy Federation to say thank you for the very generous cheque towards the NMA FAA Memorial extension that you handed over at the meeting last month. It is very much appreciated, and I hope that we can instruct the stonemasons to start the work later this year. The memorial really will be a very long lasting legacy, and the cheque helps put that in place. 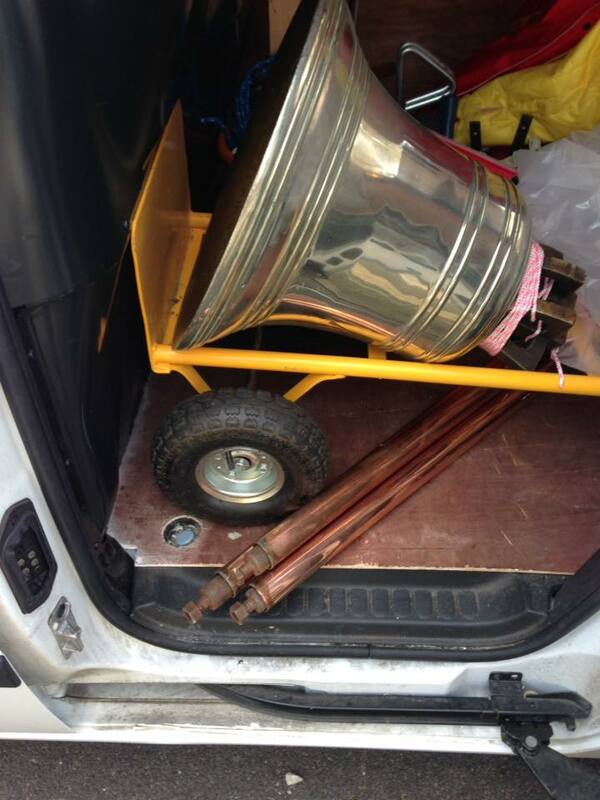 It is great to have the financial ball rolling, and your cheque helped to get it moving nicely! I really enjoyed the meeting and social, and very much look forward to the next…. I don't know if you are all aware that the South African Air Force also had an association with RNAS Lossiemouth. In 1962 South Africa placed an order for 16 Buccaneer aircraft which was known as the Buccaneer S MK50. In January 1965 the first four crew members started their conversion course on the Buccaneer S.1 and then when our first S MK50 was delivered on 25 May 1965 they converted onto this type and the rest of the crew and ground crew joined them. On 27 October 1965 they departed with the eight Buccaneers then delivered for the long delivery flight to South Africa where they landed at Air Force Station Waterkloof near Pretoria on 3 November 1965. The delivery flight was however not without drama. One of the Buccaneers went down on 3rd leg of the flight between Sal island and Ascension Island which led to a huge S&R mission for the downed aircrew. They spent about 30 hours at in the open ocean with SAAF Shackletons circling above, they were eventually picked up by a Dutch Freighter the 'Randfontein' on its way to Cape Town. A reunion will be held at the SAAF Museum at Swartkop AFB on 7 November 2015 to commemorate the landing of the first Buccaneer on 3 November 1965. 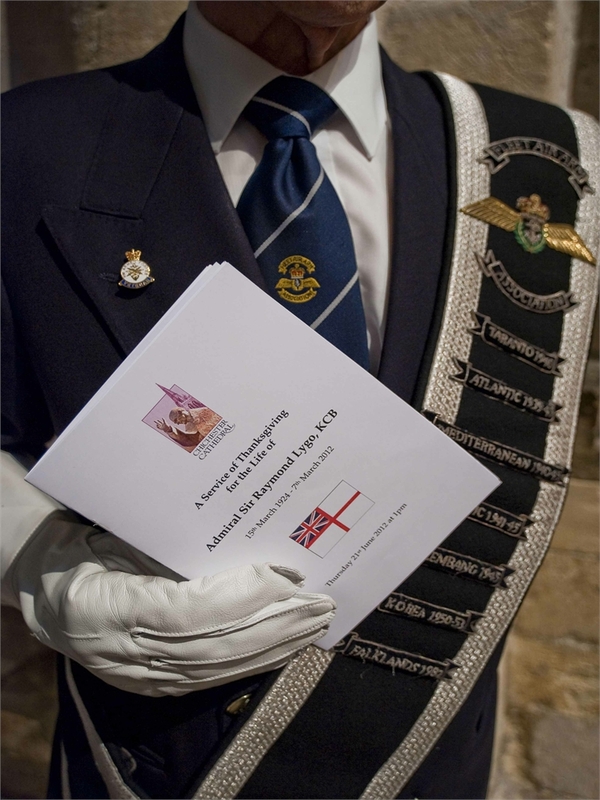 Ten of the original sixteen aircrew will attend the function as well as some of the original ground crew members. 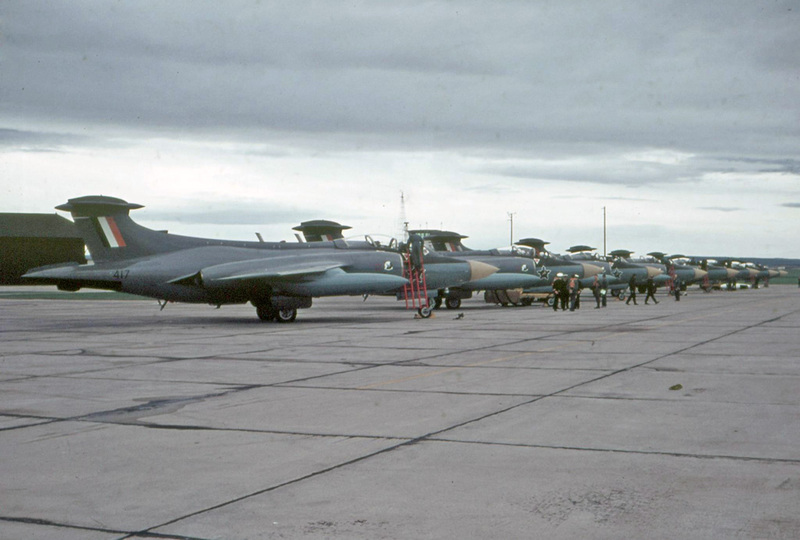 Photo of the SAAF Buccaneers lined up at RNAS Lossiemouth on 27 October 1965 for the delivery flight to South Africa. 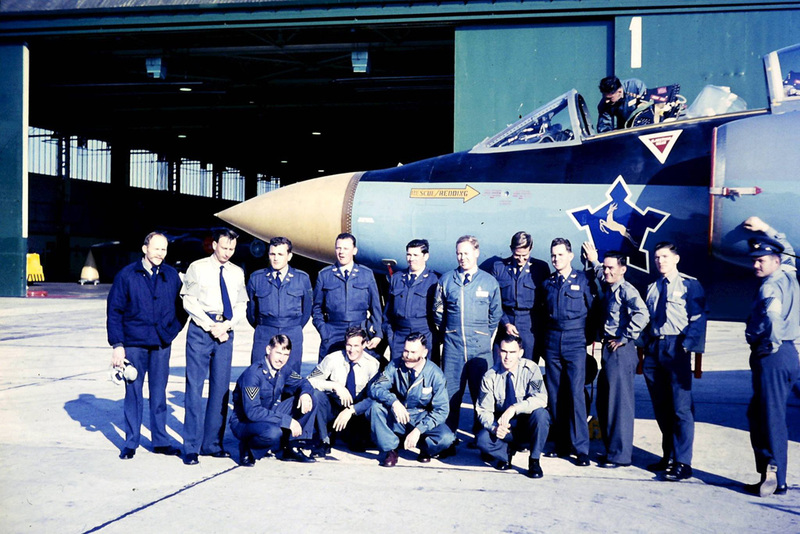 Some of the 24 Sqn ground crew members at Buccaneer 413, the first SAAF Buccaneer to be delivered from the Brough factory on 25 May 1965. Johan Conradie is involved in research to help produce a book on the Buccaneer in SAAF service and he says photos of their guys at Lossiemouth are very scarce. If anyone has memories of the South African Personnel at Lossiemouth and if possible has pictures of 24 Squadron at there, please get in touch with Phil Glover and he will put you in touch with Johan. 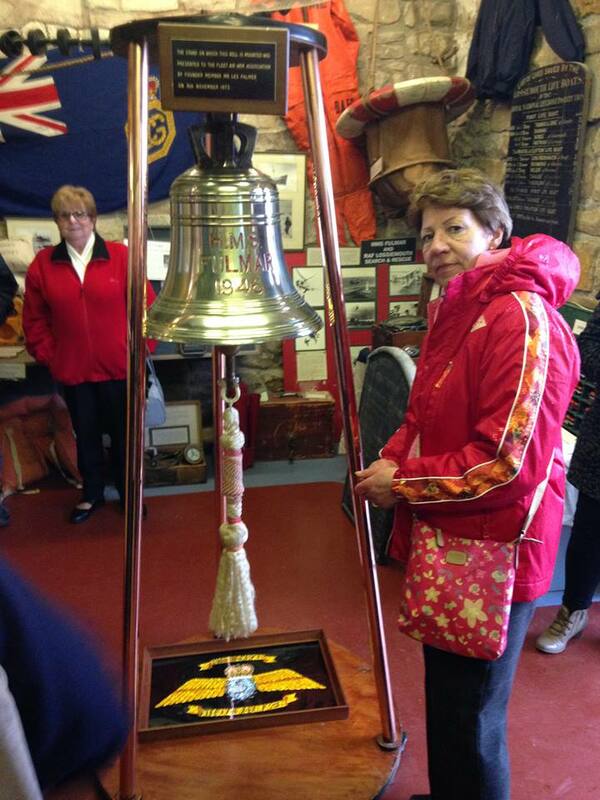 Pictures from the installation of the HMS Fulmar Ships Bell at the Fisheries & Heritage Museum in Lossiemouth, Morayshire. It was originally envisaged that it would be presented to the Covesea museum in June during our reunion, but unfortunately the Covesea museum will not be finished in time. 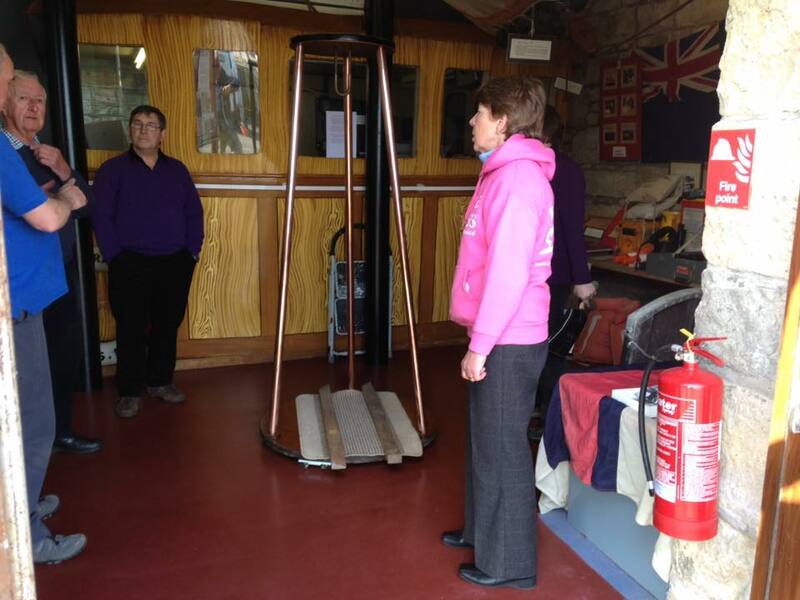 The F & H Museum agreed to put it on display until the Covesea museum is completed. 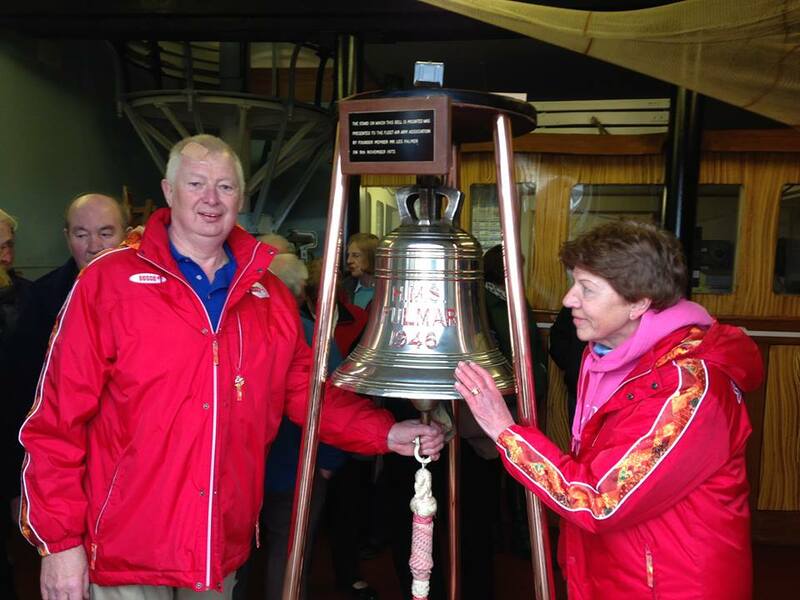 Alan & Vicky Breward carried out the epic journey to deliver it and other local ex FAA came together to install it in the museum. 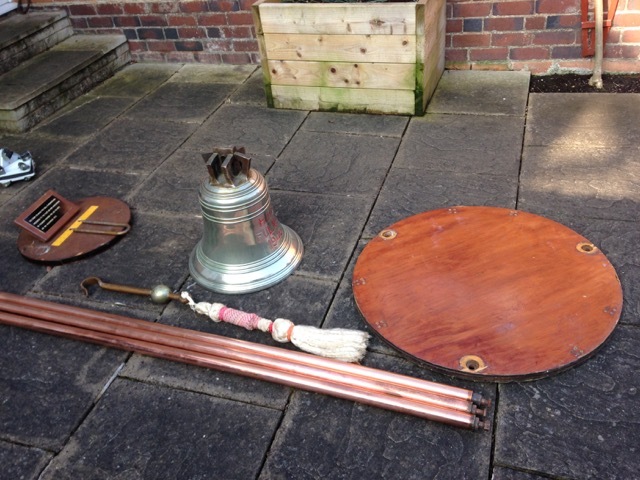 Dave Clark has written a short history of the bell, click on the link below. 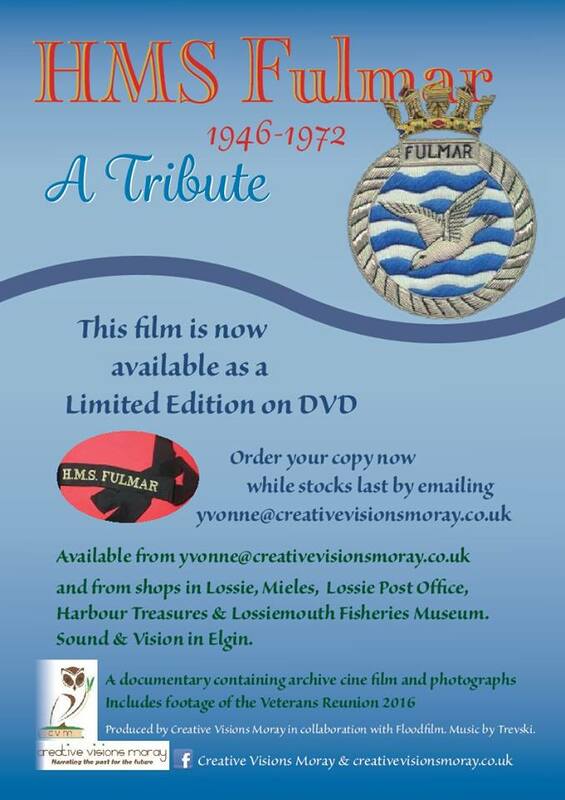 For those who have been waiting for their chance to purchase this video tribute to HMS Fulmar, it is now available to order. There are only limited quantities available so it won't be on sale for ever and I suggest that if you want a copy send an email to yvonne@creativevisionsmoray.co.uk as soon as possible; the price will depend on where you need it delivered to.